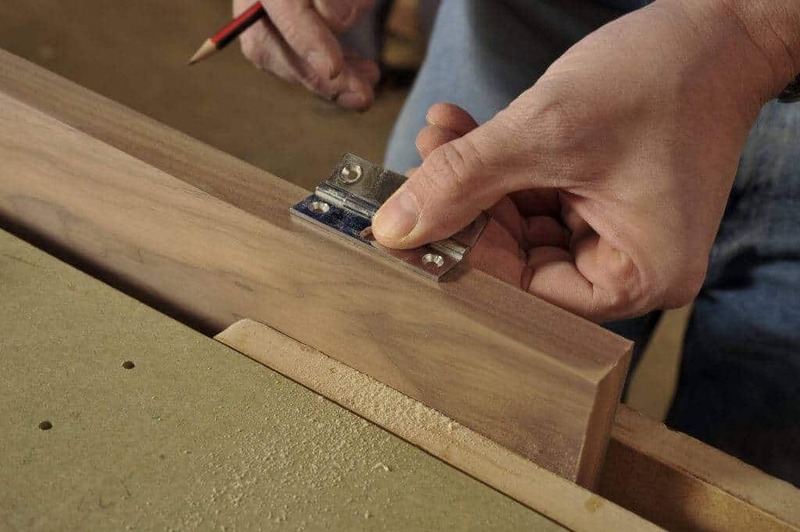 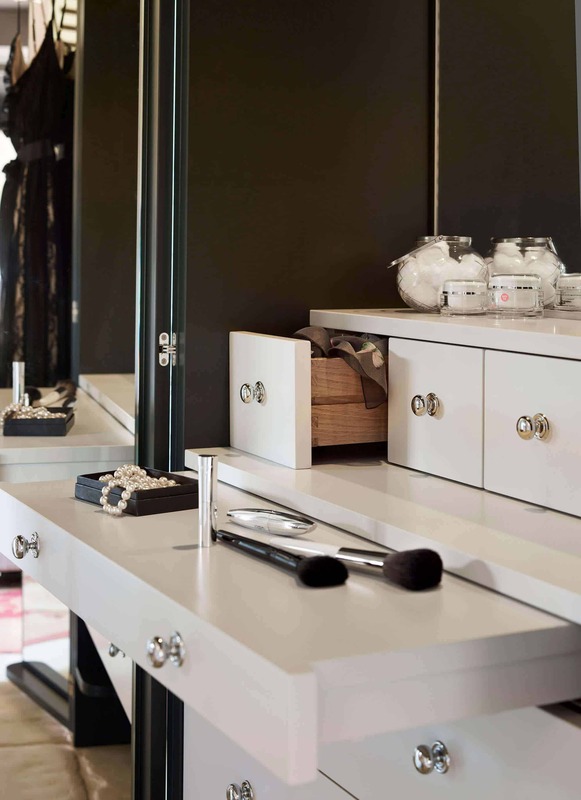 Each one is created individually, tailored to you and your home. 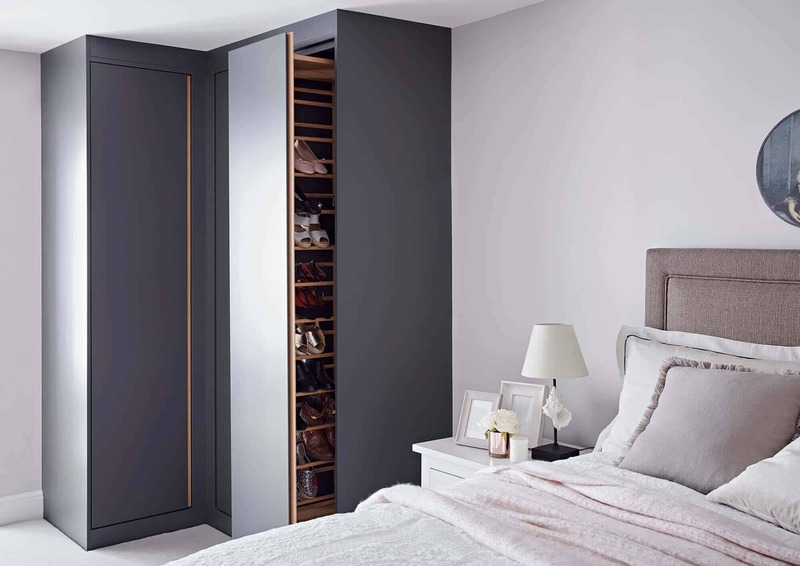 We have designed four exquisite fitted wardrobe ranges for a complete bedroom storage solution. 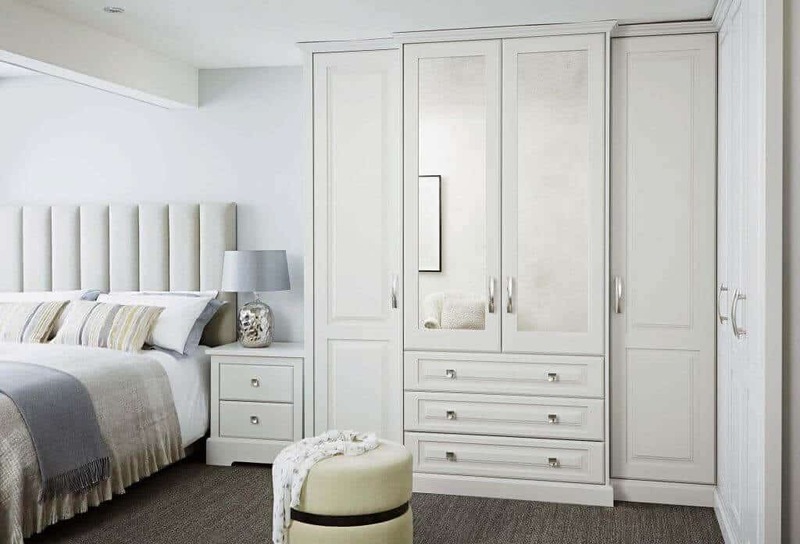 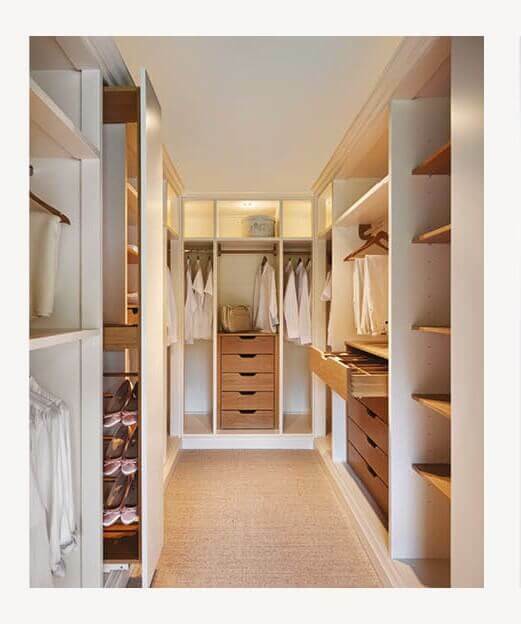 We also offer a fabulous walk in wardrobe design to transform your current bedroom or a specially built room. 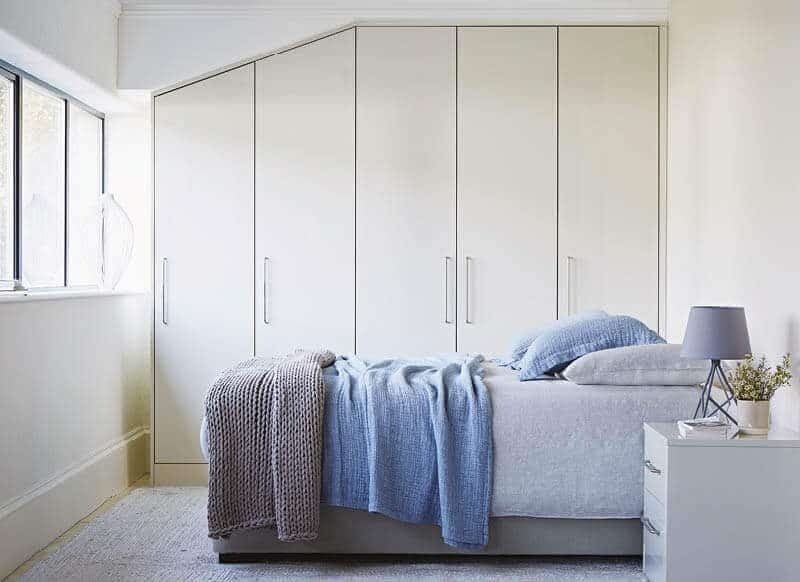 Our bedroom designers always find solutions to difficult or challenging spaces. 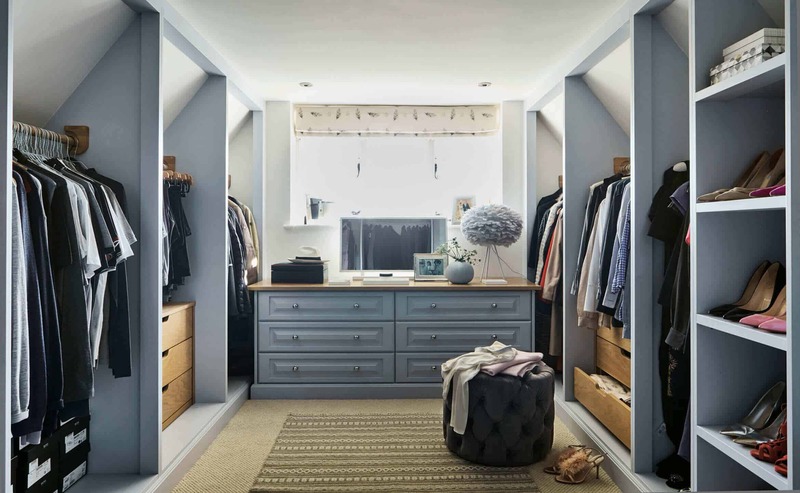 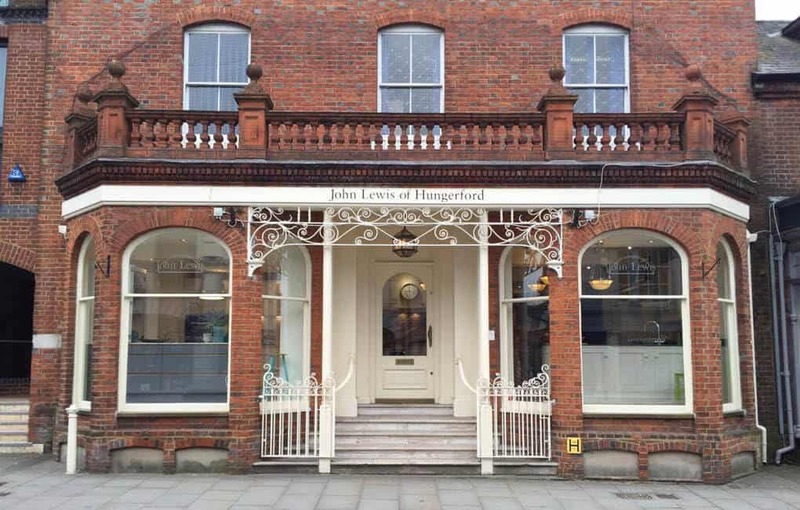 From stunning floor to ceiling fitted wardrobes to beautiful free-standing bedroom furniture and luxury walk-in-wardrobes. 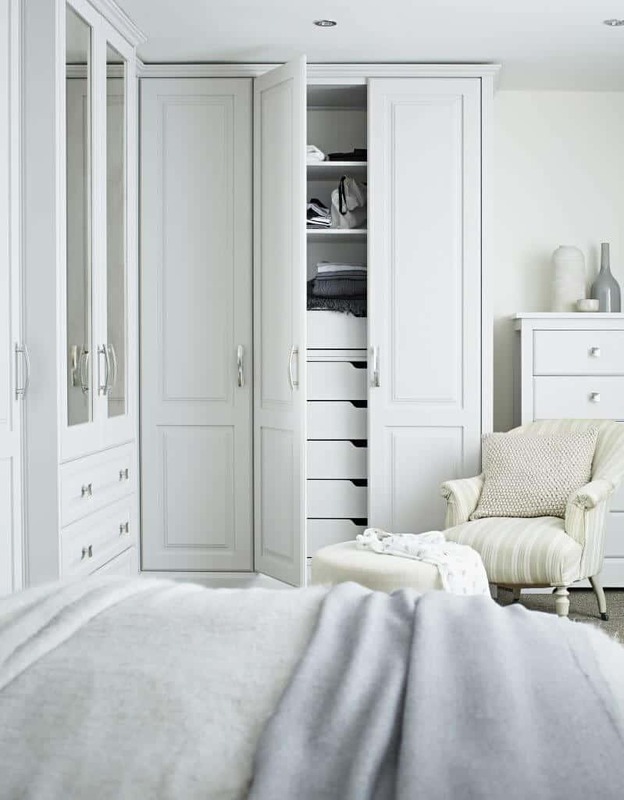 All our carefully designed bedroom furniture is fully customised to meet your needs and suit your taste. 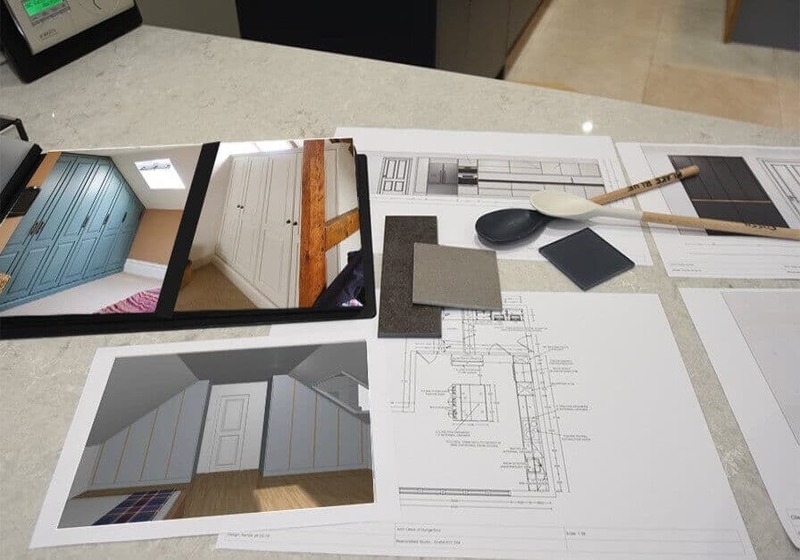 Your project will be managed by the same bedroom designer from start to finish. 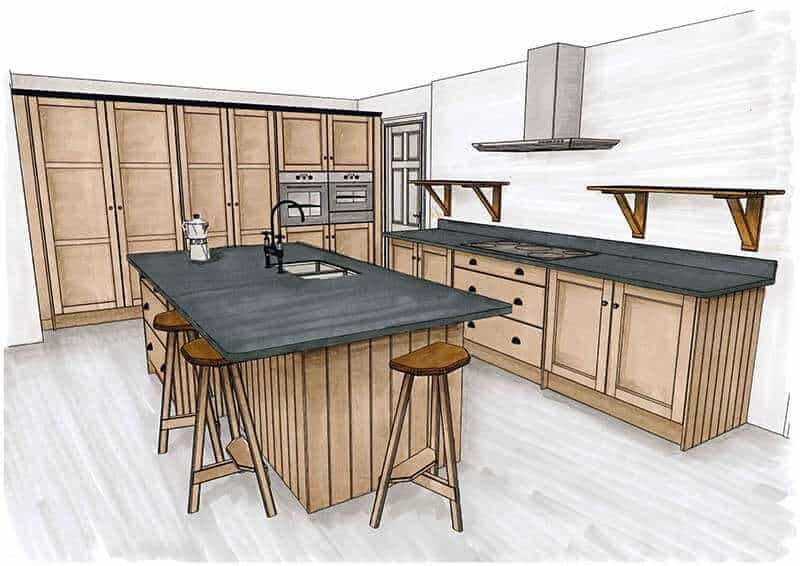 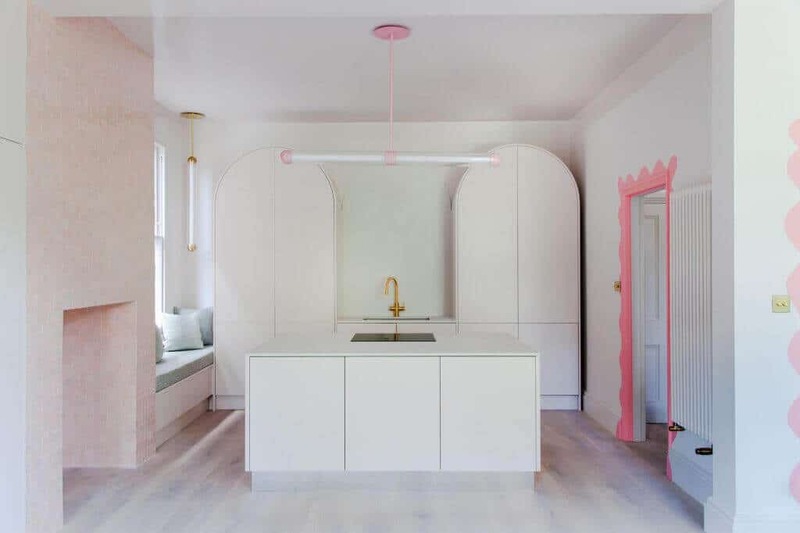 From the initial design consultation stage, through to the installation and satisfactory sign off of your completed project you will have one, knowledgeable point-of-contact. 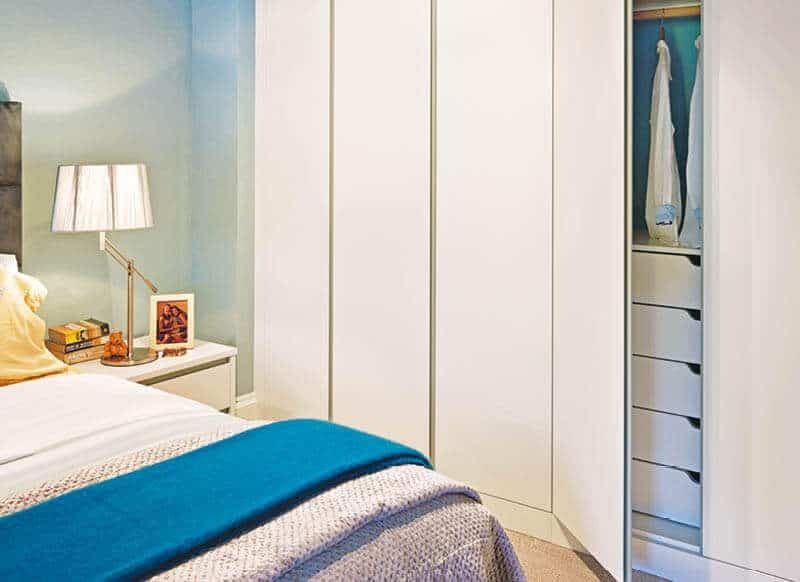 We believe installation is vital to finishing your bedroom to the highest of standards. 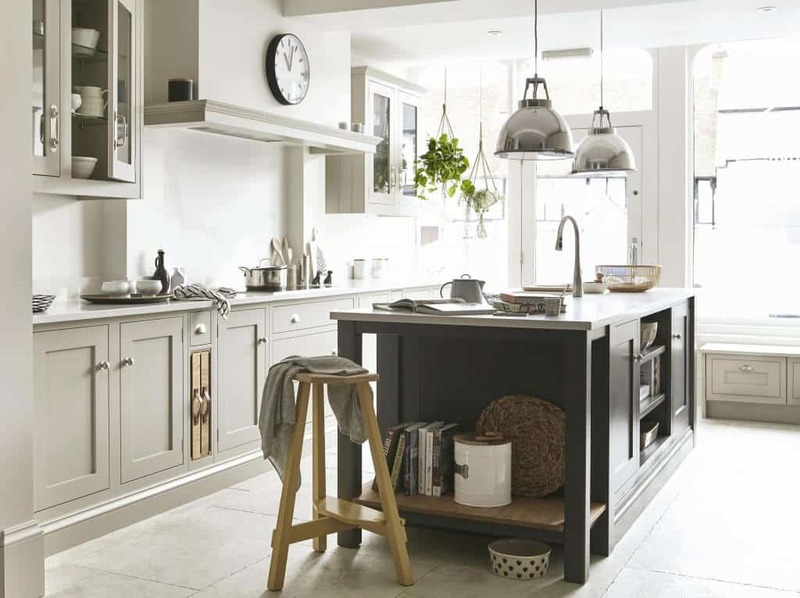 We are proud to be the first national kitchen retailer to have achieved membership to the British Institute of Kitchen, Bedroom & Bathroom Installers (BiKBBI). 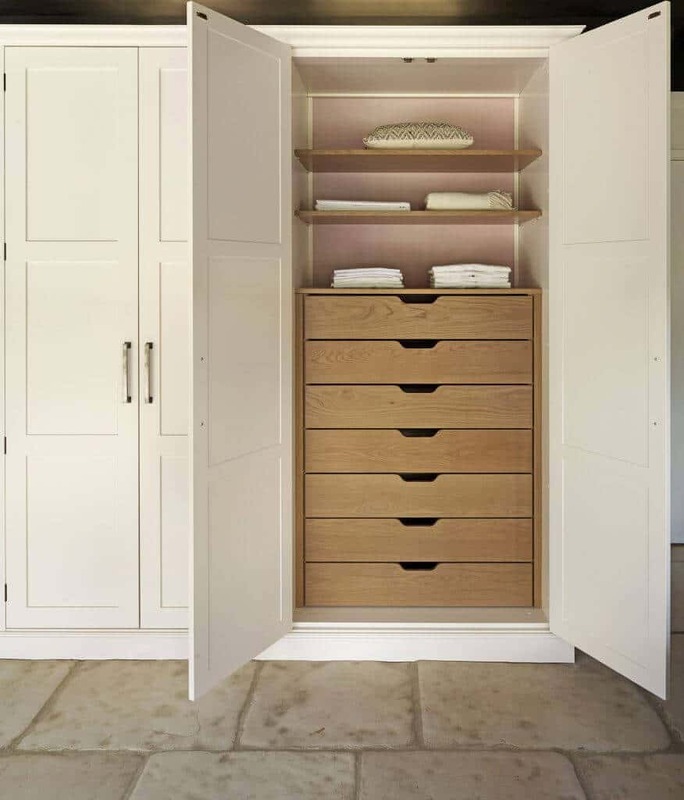 Our classic wardrobes are available in two traditional styles; Artisan and Shaker. 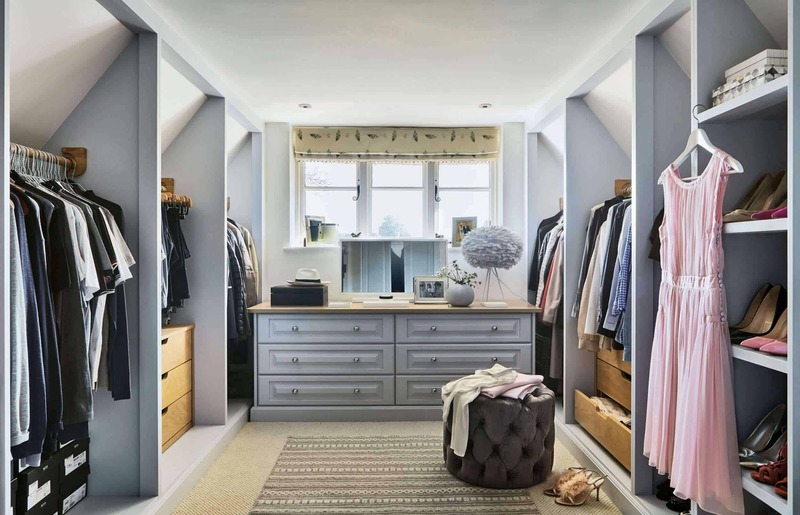 The dressing room you have always dreamed of is perfectly possible with our stunning, walk-in-wardrobes. 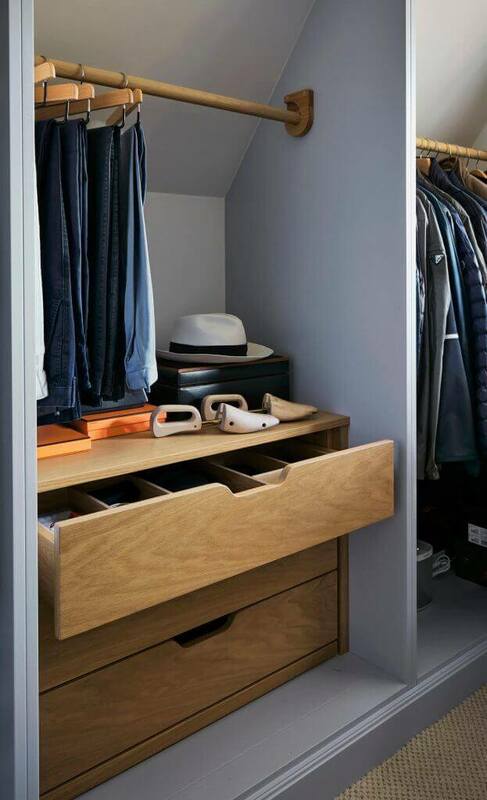 Why fitted wardrobes are the perfect bedroom storage solution.